Even if you know little about Texas, chances are you know about El Paso. It was made famous in a hit and award-winning song, named, of course, "El Paso," by the country star Marty Robbins in 1959. 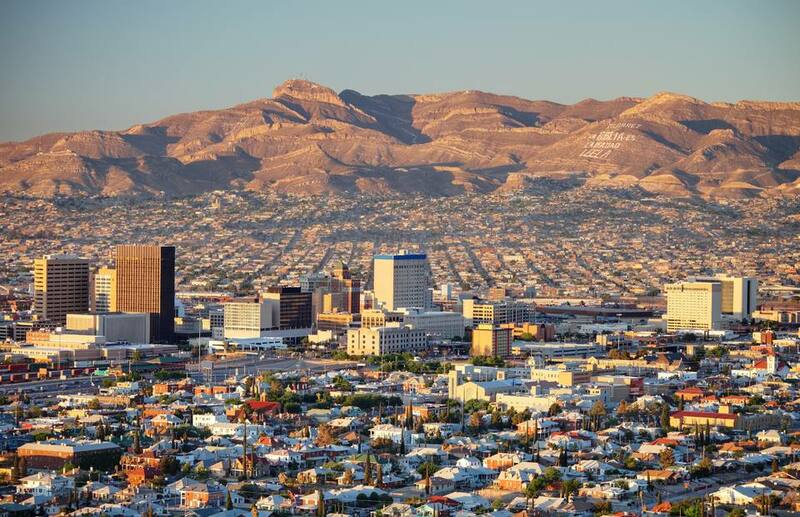 El Paso is the westernmost point of West Texas and straddles the Rio Grande on the U.S.-Mexico border. It is the largest of three cities that form an international metropolitan area made up of El Paso; Las Cruces, New Mexico; and Juarez, Mexico. It has a large military presence that is anchored by Fort Bliss, one of the largest military installations in the country. It's also home to the University of Texas at El Paso and the Sun Bowl. There's a reason it's called the Sun Bowl: El Paso is one of the sunniest locations in the United States, with 302 days of brightness a year, and has "Sun City" for a moniker. The city was established in 1850, and a search through history books and articles reveals countless interesting facts about this colorful high desert community. Here are a few of the more interesting facts, in no particular order. Hilton hotel mogul Conrad Hilton opened his first high-rise hotel in El Paso in 1930. The building, located at 106 Mills Avenue., is now the Plaza Hotel and remains a landmark in the city’s skyline. Legend has it that everyone's favorite drink with Mexican food, the tequila-based margarita, was invented in the El Paso-Juarez region at Tommy's Place Bar on July 4, 1945, by Francisco "Pancho" Morales. The monumental statue of Christ atop Mount Cristo Rey is not technically a crucifix because the palms of Christ face downward in a gesture of blessing. The shrine, which is visible across the El Paso area, was dedicated in 1940. Elvis Presley, Steve McQueen, and Ali McGraw all stayed at the once-luxurious El Paso International Hotel, now a Doubletree Hotel. Gen. John J. Pershing used El Paso High School’s Jones Stadium as a staging area during the pursuit of Francisco “Pancho” Villa in 1916. El Paso Street, the city’s first and oldest street, has seen the footsteps of Wyatt Earp, Pat Garrett, Billy the Kid, President William Howard Taft, and Pancho Villa, and was the scene of the infamous Four Dead in Five Seconds Gunfight in 1881. The Tigua reservation Ysleta del Sur Pueblo, located in El Paso County, is one of two Native American reservations in Texas. It was established in 1682 and is still a vibrant contributor to the community and region. El Paso is the only major Texas city on Mountain Standard Time. When its sister city, Juarez, was on Central Standard Time, you could celebrate New Year's twice by making a short trip into Mexico. Spanish explorer Don Juan de Onate arrived at the Rio Grande near El Paso and ordered his party to rest and conduct a mass of thanksgiving on April 30, 1598, during an expedition to colonize the area. De Onate discovered ​El Paso del Norte, or Pass of the North, in 1581. The valley between two mountain ranges became the location of El Paso and Juarez, on either side of the Rio Grande. El Paso is now known as the Sun City, but it had a much more sinister moniker in the late 1800s. It was known as the "Six-Shooter Capital" because of its lawlessness.